Native Littlenecks range from California to Alaska and are one of the indigenous species of the region. 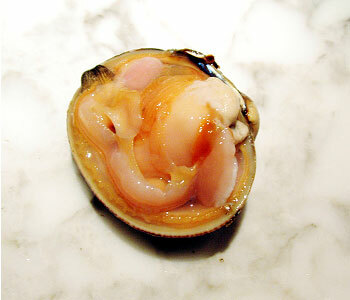 This wild clam is crunchy in texture, has a very sweet meat, and finishes with a slightly metallic aftertaste. It is the premiere half shell clam and has about twice the meat yield of an east coast littleneck. Their shells tend to be pearly white, hence the local nickname “whites”, but they may also be grayish or mottled with light brown markings.